If you’re already utilizing Facebook fan pages and groups there is a great little (or not so little) new social media site that you should be using as well. 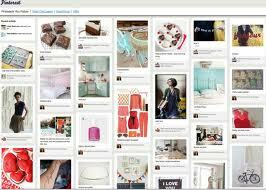 You may have heard about it by now, it’s called Pinterest and in many ways functions in the same ways as Facebook. To begin, just like in Facebook, a lot of the power of the site lies in the number of followers you have. The more followers you have (and the more people you follow who may in turn follow you back) the better chance you have of your Pins going viral and your business getting the attention it deserves. You see just like a post in Facebook that is placed in everyone’s feed a Pin (an image you pin to one of your boards) is posted in all your followers feeds on Pinterest. This means that they may see your products image and pin it to one of their boards and so on and so forth until your reaching as many possible Pinners (a Pinterest user) and potential customers. From there the viral effect takes over and your image makes it way through the 10 million current users. It also allows you to Pin videos as well, which means it takes you video marketing to a whole new level. If getting your videos on Youtube seen has ever been an issue for you, Pinterest can take care of that as well. Just like the viral effect can occur with your images, it can also occur with your videos. This means you’re now able to take advantage of more methods of marketing then ever before, and the greatest part is that it is free, it relies on social media and the addictive power of it, and it takes very little time to put into effect.